I really love having a student teacher and practicum students in my classroom. 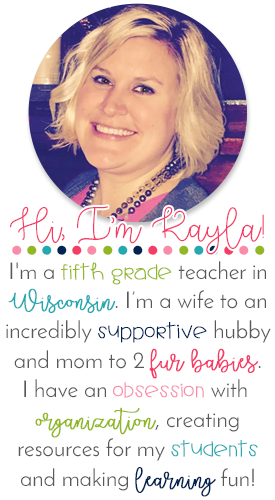 It's such a great way to share your passion for teaching! However, it can be a bit overwhelming when they're about to start! 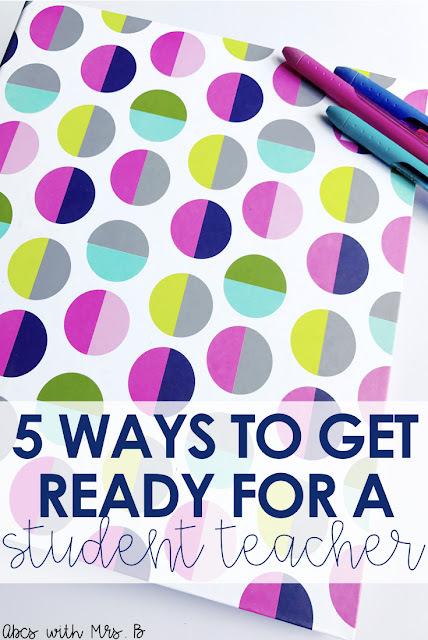 Here are a few ways I get my student teachers ready! We want these student teachers to feel like they have some ownership in the classroom. I always find a nook with a table or desk for them to use so they feel like it's their workspace and their classroom. I usually put them in the opposite corner than my desk so they have their own space. Plus, it's always nice to have an extra set of eyes on the opposite side of the classroom. I make sure this space is set up BEFORE they come in! I like to put together a little welcome basket with some teacher essentials - really quick and easy. I put in a few items such as post-its, Flair pens, a clipboard, paper clips, etc. I like to get them in the teacher mode. And let's be real, they will need all these things at some point, so instead of them feeling like they're always asking for little things, provide them with it all right away! I find it's really important to meet with your student teacher before they get started. It's good to get to know them a little bit and for them to know you. I usually like my student teacher to come right before students go out for recess, so my kiddos can put a face to a name and know who to expect coming in. Then I spend my lunch period showing my student teacher around the building, discussing expectations, showing them our workroom, showing them how to make copies and all the little things that we won't have time for on the first day. I always give student teachers homework for their first day. It's usually 2 things. The first is an introductory letter to be sent home to families. In the letter, I want them to tell about themselves a little bit and make sure parents and families are aware of their presence in the classroom for their placement. The second is a community building activity to do with the students on their first day. I give them about a half an hour to plan for a way to get to know the students and their names right away. How do you get ready for a student teacher? I'd love to hear some more tips!